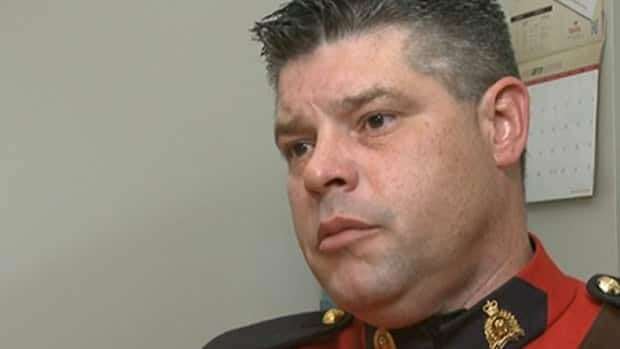 A Royal Canadian Mounted Police officer with a medical marijuana prescription thinks he should be able to smoke the drug while in uniform, but the RCMP says he can’t smoke marijuana while in red serge or while wearing his regular working uniform. Cpl. Ronald Francis serves with J Division in New Brunswick, and received a prescription for medical-grade marijuana on Nov. 4. Francis told CBC News marijuana has helped him to calm down and reduces his PTSD symptoms. His prescription allows for three grams a day, which he estimates to be nine to 15 joints, though he said he doesn’t typically smoke that much. “I get up in the morning, have my coffee and the marijuana. I go at lunchtime, have a marijuana joint, and then again in the evening. That would be my medical regime. But that may change with my tolerance to THC. It may take two joints in the morning, I don’t know,” said Francis. “I’m just building up my immunity to THC levels, if I was to smoke two I’d probably get stoned to the point that I’m just totally relaxed. I’m still functional. But your nervous system is relaxed, and that makes a big difference,” he said. Francis, who is currently assigned to administrative duties, said smoking marijuana has no negative effect on his ability to be a police officer and that he intends to continue smoking on the job. But while the RCMP accepts that Francis’s prescription gives him the right to consume marijuana, the force takes issue with members smoking in public or in uniform. REACTION | Is an on-duty officer allowed to smoke medical marijuana? YOUR SAY | Should RCMP officer smoke marijuana in uniform? Moreau said the RCMP has a duty to accommodate members’ medical needs, but also has to consider the effect on other members and on public perceptions. 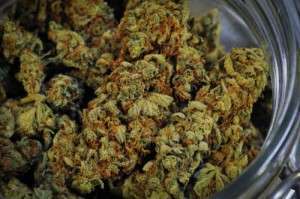 The RCMP has the right to challenge medical treatments it considers inappropriate, and to seek a second medical opinion, Moreau said, adding that RCMP will evaluate any member who obtains a medical marijuana prescription. If they are found to be impaired in judgment or motor skills, the RCMP will place limits on the police functions they’re permitted to perform, he said. Francis said he experienced stress on the job early in his career, while serving the First Nation in Davis Inlet and in his own community of Kingsclear First Nation. He began to seek treatment for mental distress eight years ago. At first, his doctors prescribed anti-depressants, but he did not feel any significant improvement. But Francis began to read about alternative treatments, including marijuana, and he eventually left the doctor he was seeing at the occupational stress injury clinic. He switched to a different doctor, who gave him the marijuana prescription. “When I explored it as a treatment for my PTSD, I had to really make a moral decision about it. Because the RCMP and law enforcement, they seem so anti-marijuana, and that’s a hard thing to overcome, so I had to make that decision for my own health. It wasn’t based on my career or anything. “It was for my own health. In doing that I realized that I have to come first. The organization doesn’t come first, Ron Francis comes first. For my own health. And I’m glad I did that,” he said. Should an RCMP officer smoke marijuana on-duty in public? You will find a number of educational posts on this blog, that I researched and posted after viewing Dr.Sanjay Gupta’s eye opening documentary this summer. As you can see the tide is turning. Cannabis is proving to be the most nutritionally complete vegetable on the planet as well as one of the most beneficial natural or prescription medicine for hundreds of diseases. Below are links to some of the information that opened my eyes to the medicine that so many are denied.